Centage Corporation is a leading provider of automated, budgeting and planning software solutions for small to medium-sized organizations. Since 2001, thousands of managers at all levels have utilized the Budget Maestro family of solutions to streamline their budgeting, forecasting, financial consolidation, performance analysis, and reporting processes. Centage Corporation is headquartered in Natick, MA. 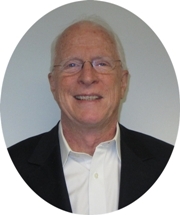 Executive Vice President and CFO, John has more than 35 years experience in finance, accounting and administration. He has extensive experience working with both high growth Fortune 500 companies and startup businesses. Prior to Centage, John served as Group Director of Planning & Analysis at WearGuard (subsidiary of ARAMARK) where he was instrumental in driving profitability via restructuring, cost containment and margin improvement initiatives. He holds a Bachelors degree in Accounting from Northeastern University and an MBA from New Hampshire College. CEOCFO: Mr. Orlando, would you tell us about Centage Corporation? Mr. Orlando: We are a 12 year old technology company focused on providing the next generation of budgeting and forecasting software that is easy to install, implement, and change over time. With our solution, Budget Maestro, it can take only days instead of weeks or months to get up and running, unlike many other formula based solutions. The goal of Budget Maestro is to help financial professionals increase their accuracy and cut down the time to prepare a budget. In my 35 years of experience, I know it can sometimes take more than 4 months to prepare a budget. With our technology, we have proven that we can get that down to about 8 weeks. CEOCFO: How does the software work? Mr. Orlando: Budget Maestro is a driver-based solution as opposed to a formula based application. I have spent many years preparing budgets and forecasts for big and small companies and what I have learned is that essentially, anyone can prepare an income statement—you can prepare an income statement on the back of an envelope if you had to. But the difficult thing about budgeting and forecasting is that it is extremely difficult to prepare a balance sheet at a granular level and the corresponding cash flow. Cash is king, balance sheet is king. Profit and Loss is just a really short term look at an actual budget. With Budget Maestro we have financial and operational logic build into the system. On the operational logic side, we build in all consolidation levels -- different companies, departments, divisions and locations – so you can see how you structure a review and how all these things roll up and consolidate. On the financial side, our financial logic is pretty interesting. We take account numbers, which is the core of everyone’s general ledger system, and we sign a financial attribute to it. Our customers love this feature because it provides them with a view into the data that they are used to seeing in their General Ledger. When we are doing the set up and implementation, we will know what is a revenue, expense or balance sheet account and we have all the financial logic which knows how to treat these things. When you are going through the process of preparing your budget, Budget Maestro knows exactly what to do. I will give you an example. Let’s pretend that we need five things when we are putting a budget or forecast together. By simple drop downs we ask you where you want to put this information, next we ask what account number you want to use, third is what is the value you want to assign to the account number, fourth is how you want to spread this over a course of a year, and fifth which none of our competitors can do out of the box is a simple drop down. In the case of revenue, the next question we will ask you is, “How do you want to receive your revenue and when do you want to receive it?” Do you want to put it in accounts receivables first and then collect the money in 30, 60 or 90 days? Or in the case of expenses, do you want to put it in accounts payable and collect in 30, 60 or 90 days? By simply creating one transaction we are able to build an income statement, a balance sheet and then the cash flow as it is a combination of both financial reports. The key thing is that nonfinancial people such as department managers can use this as well, simply by having the budget administrator set some parameters for them when they are entering their information. CEOCFO: What was the hardest part of the technology to put together? Mr. Orlando: The challenges are trying to build all of this financial and operational logic. We help our customers do much more, and we do it without you having to create formulas. That is the best part of the system; everything is driven based on the financial logic and everything is based on drivers that we put together. My past experience is working in a $350 million company, as a group director of financial accounting with 50 managers across the country. We could have used a tool like this because people at the manager level are more worried about how they create efficiency during the operational process; they are not worried about when you are going to collect cash and when you are going to spend money. Making this easy for them is the hardest part and yet most critical component. CEOCFO: Is there a typical customer for you today? Mr. Orlando: Our typical customer is a small to mid-size company with roughly $10 million to $300 million in sales. We know exactly what their pain points are because we have studied this market for a long time. We know that the person that is most affected by the issues that crop up on a daily basis in accounting and finance are the CFOs, the VP or Director of Finance, controller, director of FP &A. We are going after these individuals directly with a solution to a problem that they are having today. Mr. Orlando: Previously we relied upon the direct mail model which was fairly predictable, but very expensive and response rates were low. You cannot scale a business on direct mail. We changed our approach in the past year and focus on web based marketing including search engine optimization, PPC, web seminars, content syndication, along with a putting together a variety of other marketing automation and lead nurture campaigns, so far the results have been great. We finished last year with 12% growth over the previous year and already this year and are on target to achieve 30% growth. There is more lead generation, less money and better customers. CEOCFO: Do you only offer one product and are there some features you would still like to add? Mr. Orlando: We have a number of different products. We have two versions of Budget Maestro, a standard edition with a little less functionality, and an advanced edition which has all the bells and whistles. We also have a reporting tool called Analytics Maestro®, which is a business intelligence reporting tool, which is extremely important for our customers. They are always looking for variances to plan and variances to last year as well as charts and graphs. We have another product called Link Maestro®, which gives us the ability to directly interface with over a dozen different general ledgers. We can bring your historical financial information into Budget Maestro, have it reside there and do all of the reporting out of Budget Maestro instead of creating a budget and dropping it back into your general ledgers. Together the suite of Budget Maestro products gives you a total financial management system. CEOCFO: When you speak to a potential client, what is the “ah-ha” moment when they understand what you do, how it is different and why they need it? Mr. Orlando: The “ah-ha” moment is when we talk about balance sheets and cash flow. As simple a process as it may seem, but I will give you an example: you are getting ready to prepare your budget and you know it is going to take you four plus months to do. Inevitably people end up spending 90-95% of that time validating information, going through the process of collecting information and it is all related to the income statement. The next step requires a balance sheet to be put together. The balance sheet tells you the strength of a company. If you are in a highly leveraged company or you are looking for funding or you are in a small company and you are looking for line of credit from a bank, the balance sheet is the main item that you need to have and it needs to be done at a granular level. What used to happen, for example in a big company, is that accounts payable at the end of May 2013 are $3 million. How do you know what that is going to be of May 2014? Obviously, AP, AR and inventory are three gigantic components of cash flow. Typically, someone would say, “We know sales are going to increase by X percent, we know expenses are going to correspondingly increase by X percent, we think we are going to pay in the same manner so therefore accounts payable for next May is going to be X.” Now, you could be 100% right, but more than likely you are going to be 100% wrong. When we bring them in and do a demo, and we show them simply by creating an income statement transaction that they are building the balance sheet and cash flow right at that second, that is the “ah-ha” moment for them and that is what brings a smile to our face. CEOCFO: You were named in Boston Business Journal as a finalist for the CFO of the Year; would you tell us about the award? Mr. Orlando: It is a reward that everybody at Centage should share simply because it is a group effort here. I’m honored to work with some amazing people who like to collaborate and share ideas - it makes my job easier! CEOCFO: Would you tell us more about the company’s current focus? Mr. Orlando: When we look at our potential customers, we know they all use different general ledgers (GL) systems. This year, we put together a plan to partner with more GL vendors to continue to meet the needs of our customers. We can now integrate with many of the common systems such as Microsoft GP®,NAV®, SL®, SYSPRO®, SAGE®, and obviously Quick Books® which is popular with the smaller side of our customer base. We’ve also started a partner program this year and it has been incredibly successful achieving about 200% over plan revenues at this point. In addition, Centage is now part of the prestigious BDO Seidman Alliance. BDO is one of the leading accounting firms in the country and about four months ago we were accepted into the BDO network which gives us the opportunity to introduce Budget Maestro to their 400 independent alliance members nationwide. We are the ONLY budgeting and forecasting solution that is in their network. Aside from partnerships, we continually try to form closer relationship with our customers to better meet their evolving financial requirements. CEOCFO: Why is Centage Corporation an exceptional company to investors and people in the business community? Mr. Orlando: Centage is an exceptional company because we have an exceptional product and exceptional people. We have spent a long time putting this together and we have spoken with dozens of clients. Often times our biggest competitor is Excel. All of us have done budgeting with Excel and recognize that sometimes it can be a painful and error prone process. With numerous people involved in the process, and numerous spreadsheets to be consolidated together, when that happens the door is wide open bad links or broken formulas. When your boss says to you at 6 at night that he needs the final edition of the budget on this desk tomorrow morning it can be a daunting task in Excel, given you have no way to automate the process at all. We quickly and easily solve that problem. The way we continue to make improvements in the product is by going out, canvassing the community and finding what the best practices are and incorporating them into the product as quickly as we can. Secondly, we try to stay up to date in terms of automation. Unfortunately in the economy we have today, companies need to do more with less and do it faster. Automation can help. One of the key things that is happening in the industry now is the concept of moving to a rolling forecast as opposed to an annual forecast. Centage can easily handle that transition. We handle large amounts of data seamlessly and excel at reporting, especially when it comes to tracking progress against a plan, which is critical for our customers. Lastly, on the forecasting side, it is not enough to do budgeting anymore. A budget can be obsolete in 2 to 3 months based on the changing global economy. We provide our customers an easy way to look at their data, analyze it and prepare information for a forecast for next month or every month by giving them access to current, accurate information. A forecast has to be done now—it is just part of the process. If you are doing forecasting every month, it is virtually impossible to do it without an automated tool. We provide that kind of ability to our customers. If you are looking for some of our key differentiators, we focus on using business and financial logic that are built in and we focus on drivers instead of formulas to create budgets. Once you build your budget in Budget Maestro, we are the only solution that actually provides an automated balance sheet, income statement and cash flow forecast. They are all tied together and they create it as soon as you create one transaction.We are also one of the only solutions that provides the functionality out of the box so that after training, most of our customers are able to build their own budget and forecast and do not need any additional upfront for post implementation consulting. We are also one of the only solutions on the market that can offer you a choice of either client/server or web based solution.